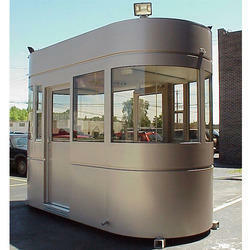 Prominent & Leading Manufacturer from Mumbai, we offer portable toll booths. Started our business operations as a manufacturer and supplier, we are engaged in offering a wide range of Portable Toll Booths. Our team of professionals manufacture he offered portable toll booth in tandem with the guidelines laid in the industry using best-in-class raw materials. In addition to this, our logistic facility enables us to dispatch our range on-time.